Sydney, September 25: The ACS – the professional association for Australia’s ICT sector – has welcomed Labor’s announcements yesterday aimed at driving greater innovation, entrepreneurship and a startup culture in Australia. A Labor Government has committed to creating 100,000 university placements for STEM students, a ‘Startup Year’ for 2000 final year university graduates to kick-start Australia’s aspiring young entrepreneurs, and a ‘graduate’ entrepreneurship visa to encourage and retain talented international students following the completion of their studies. Earlier this year the ACS released Australia’s Digital Pulse – a groundbreaking report in partnership with Deloitte Access Economics – which found that in the next five years there will be a projected demand for 100,000 additional ICT workers, and this at a time when domestic ICT graduates numbers are less than 4000 annually. ACS President Brenda Aynsley OAM, said Labor’s focus on the key issue of increasing the supply of skilled ICT workers and improving digital workforce planning is welcome. “The ACS is eager to work with all political parties in addressing the policy challenges and looks forward to ongoing engagement and discussion,” Ms Aynsley said. The ACS is the professional association for Australia’s Information and Communication Technology (ICT) sector. Over 20,000 ACS members work in business, education, government and the community. The ACS exists to create the environment and provide the opportunities for members and partners to succeed. The ACS strives for ICT professionals to be recognised as drivers of innovation in our society, relevant across all sectors, and to promote the formulation of effective policies on ICT and related matters. Visit www.acs.org.au for more information. Sydney, August 4: The ACS has welcomed an announcement by NSW Minister for Innovation and Better Regulation The Hon Victor Dominello MP that the state will launch a world first whole of government data analytics centre. In an announcement at the University of Technology Sydney (UTS), Minister Dominello spoke of the wide range of services that would be facilitated by the analysis of NSW Government data. ACS President Brenda Aynsley praised the initiative. “We have continually called on Government to deliver better data on the digital economy, and it is encouraging to see this call being heeded here in NSW. This is a wonderful example of how governments can capture the enormous benefits of open data and data analytics.” Ms Aynsley said. The centre will be hosted at the UTS Data Arena, a world class facility developed to better visualise and comprehend the phenomenal amounts of data available to analysts and researchers today. The Data Analytics Centre’s shape and strategy is set to be informed by a steering committee of stakeholders including Privacy Commissioner Dr Elizabeth Coombs, Information Commissioner Elizabeth Tydd, Customer Service Commissioner Mike Pratt and Chief Scientist & Engineer Prof. Mary O’Kane. Sydney, September 15, 2015: The ACS – the professional association for Australia’s ICT sector – has congratulated Prime Minister Designate and former Communications Minister Malcolm Turnbull on winning the leadership of the Liberal Party. As Communications Minister Mr. Turnbull has served as the Patron of the ACS and in June launched Australia’s Digital Pulse – a flagship report commissioned by the ACS and prepared by Deloitte Access Economics. ACS CEO Andrew Johnson noted the considerable value that Mr. Turnbull’s knowledge of the Communications portfolio will bring to the office of Prime Minister. The ACS (Australian Computer Society) is the professional association for Australia’s Information and Communication Technology (ICT) sector. Over 20,000 ACS members work in business, education, government and the community. The ACS exists to create the environment and provide the opportunities for members and partners to succeed. The ACS strives for ICT professionals to be recognised as drivers of innovation in our society, relevant across all sectors, and to promote the formulation of effective policies on ICT and related matters. Visit www.acs.org.au for more information. 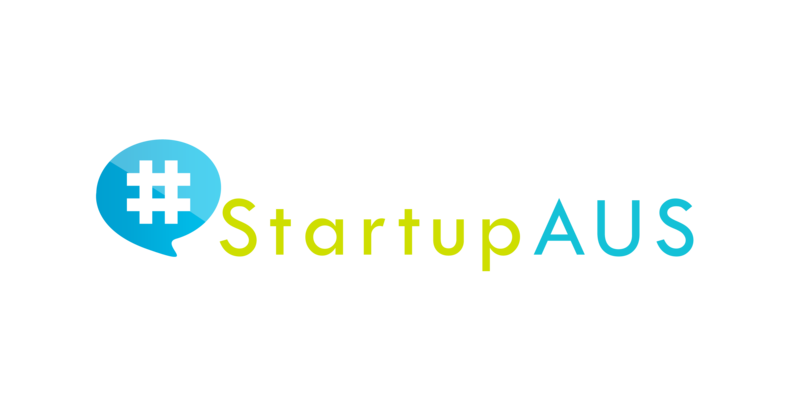 15 September 2015: StartupAUS, the not-for-profit organisation looking to transform Australia through promoting technology entrepreneurship, today congratulated the Hon Malcolm Turnbull MP on his appointment as Prime Minister of Australia. CEO of StartupAUS, Peter Bradd said StartupAUS looks forward to continuing the strong working relationship it has established with Mr Turnbull. “Mr Turnbull’s business acumen along with his knowledge of and well known support for the Australian technology sector will provide him with unique insights into the barriers facing Australian startups, particularly in terms of accessing venture capital and talent. “As Australia enters a new era of growth, technology based startups have the potential to transform the economy and create the jobs of the future,” Mr Bradd said. “In the next two decades, startups have the potential to contribute up to $US109 billion in growth to the economy, and create 540,000 new jobs. “StartupAUS is committed to continuing its work with Government to boost Australia’s prosperity and modernise its economy through a well supported and thriving tech startup ecosystem. “This is a critical time for Australian startups. There is so much to be gained if we can grow this important part of our business community. But we must act swiftly and decisively in this area and we need the support of our Federal Government to lead a unified, centralised approach to building this ecosystem. We believe Mr Turnbull has the vision and conviction to do this effectively and we very much look forward to working with the Prime Minister and his Cabinet to ‘seize the day’ in support of Australia’s many startups,” Mr Bradd said. StartupAUS is a not-for-profit entity with a mission to transform Australia through technology entrepreneurship. StartupAUS believes a strong home-grown tech sector is vital to future Australian jobs and wealth. But getting there will require a national imperative to create the right environment, with a supportive culture and more entrepreneurs with the right skills. Australia, 09 September 2015 – StartupAUS together with the City of Sydney will officially launch the return of the Startup Spring festival for the third year running at Sydney Town Hall on Wednesday to kick-off the events taking place across Australia from the 10-30 September. Startup Spring is a three-week long, Australia-wide festival of events and activities to celebrate and promote the startup community and to encourage more Australians to get involved and excited about entrepreneurship and technology. Under a theme of ‘Growing up Global,’ the evening will feature an address by Lord Mayor Clover Moore and a panel discussion with local entrepreneurs and Sydney business leaders exploring the global opportunities on our doorstep. The panellists include StartupAUS Board Director and founder of Blackbird Ventures, Bill Bartee, founder & CEO at Posse, Rebekah Campbell, and entrepreneur and investor & founder of SYD Ventures and Follow the Seed, Andrey Shirben. Last month, The City of Sydney launched their Draft Tech Startups Action Plan, which StartupAUS supports as an important and timely step towards realising Sydney’s potential as a vibrant startup destination. · Geelong Silicon Beach Startup Spring meetup! Startup Spring is a three-week long festival celebrating technology, startups and entrepreneurship. Launched by StartupAUS in 2013, Startup Spring features hundreds of events and activities from all around Australia – to celebrate and promote the tech startup ecosystem and to encourage more people to get involved and excited about entrepreneurship. StartupAUS is a not-for-profit entity with a mission to transform Australia through technology entrepreneurship. StartupAUS believes a strong home-grown tech sector is vital to future Australian jobs and wealth. But getting there will require a national imperative to create the right environment, with a supportive culture and more entrepreneurs with the right skills. Australia, 16 September 2015 – StartupAUS, the national organisation for promoting technology entrepreneurship in Australia, together with the City of Adelaide, will celebrate the return of the Startup Spring festival at a launch event at Adelaide Town Hall on Wednesday evening, 16th September. Startup Spring is a three-week long, Australia-wide festival of events and activities to promote the startup community and to encourage more Australians to get involved and excited about entrepreneurship and technology. In it’s third year, the festival runs from 10-30 September. This year’s event features a theme of ‘Growing up Global,’ with the evening featuring an address by Deputy Lord Mayor, Houssam Abiad, and a panel discussion with local entrepreneurs and South Australian business leaders exploring the global opportunities on our doorstep. ANZ Chair in Business Growth and StartupAUS board member, Dr Jana Matthews, will facilitate the evening. Speakers and Panellists include, Engineering Director at Google Australia and New Zealand and StartupAUS board Chairman Alan Noble, CEO and Managing Director of REDARC Electronics Anthony Kittel, Account Executive, Higher Education Sector at HP Tom Steer, CEO of Makers Empire Jonathan Soong, and Co-managing Directors of Jemsoft Jordan Green and Emily Rich.